The V-Model establishes a triangular relationship between requirement, its refinement and a corresponding validation which provides robustness to your development artifacts. 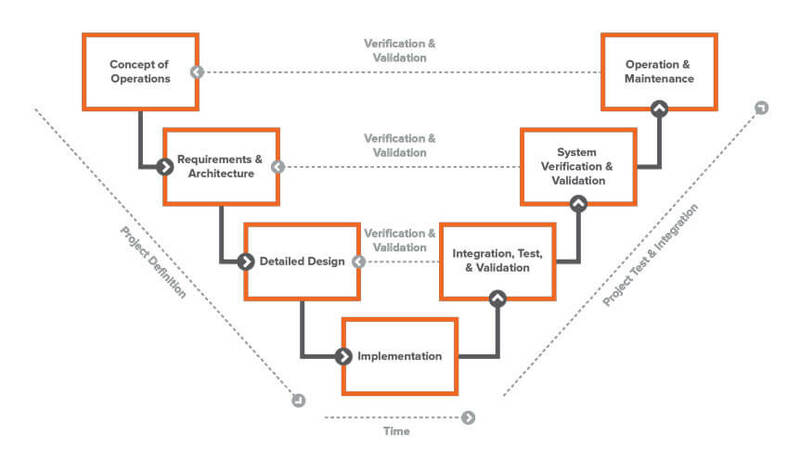 Don't confuse this pattern with the process model that is called V-Model or V-Model XT, a development standard. Use the pattern when you have multiple levels of refinement and you anticipate changes. The test could test the wrong thing (e.g. not exactly what has been specified). As every item is connected to the other two, this makes the structure robust against change. This pattern is extremely common in software development, where automated tests and continuous integration provide immediate feedback on the integrity of the system description. When using manual tests, you need a system that tracks outdated information for you.